These words of St Teresa of Calcutta are a reminder of the importance of silence. The Liturgy Committee of the Department for Christian Life and Worship has produced a document The Place of Silence which explores how silence is an integral part of any liturgical action. It looks, in particular, at the celebration of Mass and how silence is expected in different ways. A modified translation of the Eucharistic Prayers for Masses with Children has been approved for use in England and Wales and will be published in May. The remainder of the text, e.g. the Prefaces, is taken from the translation which was issued in English in 1975. A number of other amendments have been made to the text. The Introduction has been changed so that it reflects current practice. Though ‘in view of the psychology of children it seems better to refrain from concelebration’ direction is given for concelebrants for each of the Prayers . The additional acclamations have been retained but have been placed in brackets to suggest that the use of them is optional. The 3 Memorial Acclamations from the Roman Missal have been included in each of the Eucharistic Prayers. For clarity the 3rd Eucharistic Prayer has been printed twice: outside Easter Time & during Easter Time. One of the key features of the Roman Missal has been the integration of music within the liturgical text. In the same way music has been included in the text of the Eucharistic Prayers for Masses with Children. Where the text is taken directly from the Missal the same chant is used; other texts — e.g. the additional acclamations — the music is based on the Missal chants. 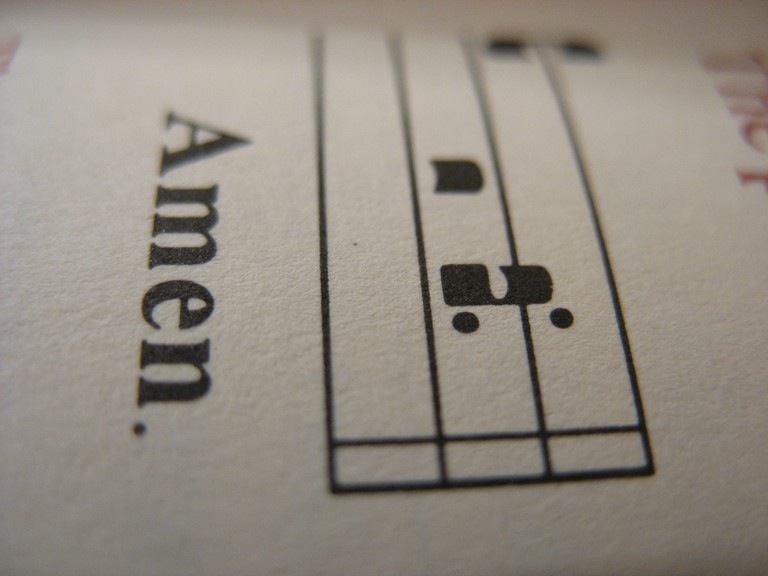 As with the Missal the chants are intended both to provide a simple basic setting which can be used whatever resources are available and to highlight the importance of singing in the liturgy. Where children already know the Missal chants it will be easy for them to pick up the additional acclamations. It is also possible for new musical settings to be written — Guidelines for Composers are available. The Bishops’ Conference has issued a Statement on the use of Mass Settings using the old translation of the Missal or settings which paraphrase the text. Unlike some other countries which did not permit the use of previous settings as soon as the Missal was introduced the bishops did recognise that time was may be needed for settings to become available and for parishes and communities to find settings which suited their resources. For many the starting point were the chants in the Missal itself which were freely available and could be simply sung without any accompaniment. This remains a primary option for parishes and communities. 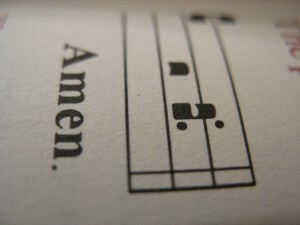 One of the hoped for benefits of using the Missal chants was to provide a common setting which Catholics would know wherever Mass was celebrated in English. It was permitted to start singing the new translation at Mass from Easter 2011 – since then a large number of Mass settings have been published. In England and Wales, as is required in other countries as well, Mass settings are approved prior for publication for their fidelity to the text. Details of the process can be found here and a list of published settings here. The Liturgy Office was asked to provide a resource – Singing the Mass – to assist parishes and schools who may be still looking for suitable settings. The resource focuses on the sung parts of the Ordinary (the texts at Mass which are the same in very celebration) where the new translation differs from what was used previously: the Gloria and the Eucharistic Acclamations (Holy, Memorial Acclamations and Amen). The recommendations are not intended to be exhaustive – other sources are indicated in the resource – but may give helpful pointers to the range of settings available.